The Hatshepsut Trilogy is historical fiction based on the true story of the female Pharaoh Hatshepsut, the queen who became one of ancient Egypt's greatest kings and the first female ruler in history. See what Hatshepsut's lover, Senenmut, really looked like. Her Majesty the King, The Horus Throne and The Eye of Re. Meet the characters—see what they looked like, hear how their names are pronounced! 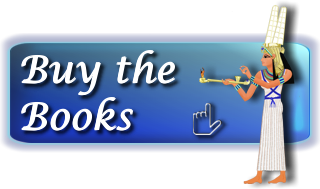 Find out about Her Majesty the King and the other books in the Hatshepsut Trilogy. Ask Patricia a question about writing, Hatshepsut or ancient Egypt.